It has been replaced by the Winegard PR-7013 HDTV Antenna !!!! The metallic silver elements with high-gloss finish give an aesthetic look with practical weather protection. Double boom on longer flat line models for extra strength and rigidity. Dual action director/reflector screen serves as reflector for UHF signals and director for VHF signals. 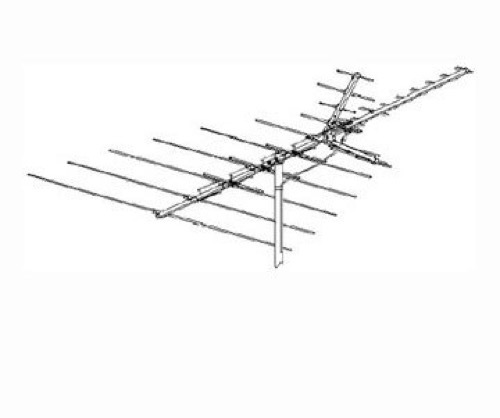 Tetrapole Unique driven element combines signals from VHF and UHF sections with very low loss. Exclusive wrap-around mast clamps with four locking jaws cannot crush antenna boom or mast. Automatic hardware unfolds in seconds and locks tightly in place.